It’s this. This is the biggest announcement. But there are others. E3, gaming’s biggest industry event of the year, is going down this week. The last few days have been a flurry of developers announcing their newest games and we have the biggest ones right here. Every year, E3 is a monster of a convention with announcements, teasers, and presentations galore, and you almost never know what you’re going to get. It’s easy to get lost in the shuffle. Don’t worry, though. We’ve rounded up the biggest announcements (or at least the ones you’re most likely to hear people talking about in the near future). Let’s get it out of the way, the game you care about most is here, it’s real, and we know nothing about it. 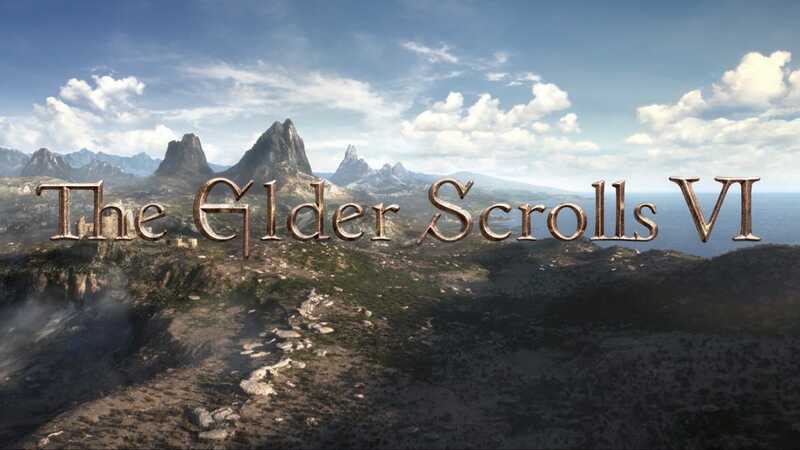 At the end of Bethesda’s press event, Todd Howard played the above teaser which shows, presumably, the land where The Elder Scrolls VI will take place, before the title appears on screen. That’s it. There’s some speculation that it could be set in High Rock or Hammerfell, but even that’s just a loose guess based on the topography in a 30 second teaser. Get used to that kind rampant and largely baseless speculation, because Bethesda didn’t bother to announce when it’s coming out. Not even what year it will arrive. Which means that it’s likely a long, long way off. Speaking of Bethesda games that we probably won’t get to play for a long time, the company also announced something really exciting: a brand new franchise. The above teaser gives very little away but it does heavily imply the game will be set in space with a sci-fi theme. This could be a Fallout/Elder Scrolls-style RPG game in a new genre, which, when set aside post-apocalyptic and fantasy, would nicely round out Bethesda’s appeal. It turns out, Bethesda filed for a trademark for “Starfield” back in 2013, so, like Bethesda’s main RPG games, this one sounds like it’s been in development for a very, very long time. Like The Elder Scrolls VI, we have absolutely no idea when this game will come out, so don’t get too excited. Okay, you can get a little excited. Recently, Bethesda announced Fallout 76, which sounded like a new main entry in the Fallout franchise, though not everyone was convinced that was the case. Turns out, that skepticism was warranted. Fallout 76 will be an online multiplayer survival game, where you play vault dwellers in the earliest days after the war, exploring the post-apocalypse for the first time. The people you’ll encounter in the game won’t be characters, but other players. You can work together with other players to build settlements, or attack someone else’s settlement and take it for your own. There will also be nuclear sites sitting around, that players can raid, and then launch nukes at other players’ settlements. So, if you’re wondering why the world looks so destroyed in other games, it’s not because of nuclear war. It’s because VaultSlayer420 kept nuking n00bs. For once in this presentation, Bethesda gave us some concrete release information. Fallout 76 will drop on November 14th of this year. Bethesda didn’t invent Doom, but after it acquired id Software, it managed to successfully reinvent it with the semi-reboot Doom (2016). It channeled the feel of the classic first-person shooter that defined the genre back in 1993, while building on it with all the graphical and interface trappings you’d expect from a modern shooter. Now, Bethesda is back at it with Doom: Eternal. Like the original Doom II, this sequel will feature the demons of hell invading Earth, with no one buy Doomguy to stop them. We don’t know when this game will come out, but we will likely hear more information at QuakeCon in August. 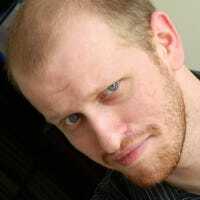 Bioware is best known for its story-driven RPG with a myriad of romance options among a diverse cast of characters, best exemplified by the Mass Effect trilogy. It’s also known for the poorly-received follow up, Mass Effect: Andromeda. The latter was reportedly subpar due to the company re-allocating resources to Anthem. Soon, we’ll get to find out if that was worth it. Unlike previous games, Anthem is a Destiny-like semi-multiplayer game that you can play solo, but that will benefit from having a team. You’ll use an array of suits, each with distinct weapons and abilities, to complete missions, and you can swap between the suits depending on the needs of each mission. That gameplay mechanic may sound familiar to anyone who’s played Warframe, and if it’s at all similar in practice, it will be a fun option. Still, Bioware has said that Anthem will lack the romance options of games like Mass Effect. Between that small downer, and the move to support multiplayer games, Bioware has an uphill slog ahead of itself to prove that this game is a worthy successor to Mass Effect. How do you make a splash at a game conference without showing off any of the game? As developer Respawn can tell you, it only takes two words: Star Wars. With no gameplay footage, no cinematic trailer, and barely any information at all, Respawn announced that their new game would take place during that nebulous period between Revenge of the Sith and A New Hope. You’ll play as a padawan who survived Order 66. Which is shenanigans because if notable badasses Ki-Adi-Mundi, Aayla Secura, and greatest of all time Kit Fisto couldnt’ survive the Emperor’s purge of the Jedi order, the idea that a lowly padawan would make it out alive makes this story about space wizards with laser swords highly unrealistic. We will, of course, still play it. While the series has been looking a bit long in the tooth as of late, Halo is the flagship game series for Xbox players. With Halo Infinite, the series’ hero Master Chief is back in action, presumably alongside Cortana—the character, not the voice assistant everyone keeps forgetting is built into Windows—and even the Warthog. We don’t know much else about the game yet, least of all a release date, but if you’re a fan of the Halo franchise, you might have reason to get back into it soon. It’s been thirteen years since Kingdom Hearts II dropped and while developer Square Enix has released some other filler games in the meantime, the main franchise hasn’t been updated in a while. Soon, that will finally change. Despite a small delay (previously, Square Enix claimed the game would come out in 2018), the company finally announced the release date in a tweet at 1:30AM ET on Sunday: You’ll be able to play the game on January 29th, 2019. At Microsoft’s press conference—Square Enix tried really hard to take the wind out of its own press conference’s sails this year—they even announced that the game would feature a Frozen world. Hopefully that’s enough to tide you over as the long marathon to this game’s release slowly comes to a close. Like many sandbox games before it, the Just Cause series is designed to let you faff about, blowing things up in spectacular, silly fashion. The title of this series gives away the justification for this wanton destruction. Just Cause 3 dropped in 2015, so it’s been long enough that the series could use an update. The trailer above for Just Cause 4 doesn’t show much in terms of gameplay, but it does feature some giant tornadoes that sure would help in destroying things. The game drops December 4th, 2018. The Witcher 3 is one of the most critically acclaimed fantasy-themed RPGs around. So, when the developer behind the game, CD Projekt Red, announced they were going to be making an adaptation of the tabletop roleplaying game Cyberpunk 2020, people paid attention. At E3, we finally got a trailer for the game, Cyberpunk 2077. If you’re into the colored mohawk and digital body mod aesthetic then this game looks like bright, vivid candy for you. We didn’t get to see any gameplay yet, but the developer has earned a bit of trust as we wait the indeterminate amount of time it will take for this game to come out. Yes, like many of the biggest games announced at E3, this one also lacks a release date. Assassin’s Creed can be a bit of a gamble of a series, but the previous entry, Assassin’s Creed Origins was relatively well-liked. Naturally, a year later, Ubisoft has announced a follow-up, Assassin’s Creed Odyssey, which will take the player back to ancient Greece to hang out with philosophers, and probably stab a few. More importantly, this version of the game will have a new feature, not seen in previous Assassin’s Creed games: the ability to customize your hero. You can choose to play as either Alexios or Kassandra, both of whom will be able to pursue romantic storylines with other characters. At a time when Bioware, the company behind the legendary Mass Effect series is moving away from romance RPGs with their new franchise Anthem, this is a welcome addition to a game series that has lacked the feature. Every once in a while, life gives you a second chance. When Beyond Good and Evil came out in 2003, it received rave reviews. Despite this, it sold very few copies and ultimately disappeared quickly from the market. Thankfully, the Ubisoft of today is willing to give the game’s robust story a second chance. Beyond Good and Evil 2 will follow young Jade on her adventures prior to the events of the original game. Also, Joseph Gordon-Levitt showed up to announce that his company HitRECord would partner with Ubisoft to let users contribute “music and visuals” to the game. Okay, that last bit is a little weird, but the game itself looks great! There’s going to be a new Just Dance game this year, which is pretty cool since, even though the whole music game fad seems to have died out, people are still playing the Just Dance titles. The new game will come out on modern consoles like the PS4, Xbox One and Switch, but it will also be coming to older consoles. As in, much older. It will be available on the Xbox 360 and the Wii U, and even the original Wii. Yes, despite the Wii being twelve years old, it’s still getting new games. If you decided to skip the Wii U and still haven’t decided to shell out the cash for the Switch, even you can come to this dance party. Hideo Kojima has been doing nothing but confusing people since he was forced out of Konami and started the new Death Stranding project. We’ve gotten baffling trailer after baffling trailer and this year’s E3 was no different. With one exception: we finally got to see some gameplay. Sort of. We see what’s definitely in-game footage of the player character, but all he’s doing is walking. At one point, the main character (played by Norman Reedus) is walking through a field trying to avoid tar monsters by wearing a backpack powered by…well, maybe it’s just easier if you watch the trailer. Either way, Kojima isn’t skimping on the weirdness and we are here for it. We saw the first gameplay trailer for the long-awaited The Last of Us Part II, and it was a doozy. The video starts with Ellie hanging out inside what seems like a church before she starts dancing (and smooching) with a new woman character. As the two dance, the video fades to a demo of the combat system for The Last of Is Part II, which looks as cinematic as it is brutal. Ellie savagely rips and tears her way through some enemies for about five straight minutes, before we return to the church scene. If you liked the previous game, it’s hard to imagine a more satisfying trailer. Insomniac is making a Spider-Man game. It looks a lot–I mean, a lot–like the Batman Arkham games, but with Spider-Man. In it, Spidey is taking on the Sinister Six, which will include Electro, Rhino, Vulture, Scorpion, Mr. Negative, and a sixth, unnamed villain that we don’t get to see in the trailer, but whoever it is has old Spidey scared. We won’t have to wait long to find out, though, as Spider-Man comes out September 7th of this year. Developer Sucker Punch, the team behind Infamous previously announced they would be making a samurai game. Now, we can see what it will look like in action. The new gameplay trailer showed the protagonist sneaking, stabbing, and katana-fighting his way through the most gorgeous rendering of Japan you might ever see. We’ve known there was going to be a new Super Smash Bros. for a while, and now we’ve finally got a look at the new game. And what a look it was. First, the obvious question: this isn’t a port. This is a brand new game, built for the Switch. Nintendo also confirmed that the roster will include every single character you’ve ever been able to play in a Smash Bros. game. That means cut characters like Ice Climbers, Pichu and Young Link, and DLC characters like Cloud and Ryu. There will also be new characters, like the Inklings from Splatoon. As a bonus: the new game will be compatible with GameCube controllers, if you prefer that classic feel. This looks like a huge update for the series that can’t possibly fail to have something for everyone. Best of all, we got a release date: the game drops December 7th, 2018. The last Mario Party game (that wasn’t on the Wii U, which, let’s be real, you probably skipped) came out in 2012. It’s been a while since most of us played a new Mario Party game, but that’s all about to change. The new Super Mario Party is coming to the Switch on October 5th, 2018. Between the portable nature of the console and the absolutely crazy technology in the Switch controllers, this game already looks to be one of the most creative games in the series. Overcooked is a small, indie game but it’s captured our hearts. In this game, up to four players team up to run a restaurant that’s constantly in chaos. In the new version, players can throw ingredients, and levels will transform over the course of your gameplay for even more ridiculous challenges. Overcooked 2 will drop on August 7th, and includes local, wireless, and online multiplayer. This is by no means everything that was announced at E3, but that should cover the highlights. Now when you gather around the metaphorical water cooler, at least you’ll know what everyone is talking about. Also, you know how to allocate your gaming budget for the next year. Assuming you can wait that long.